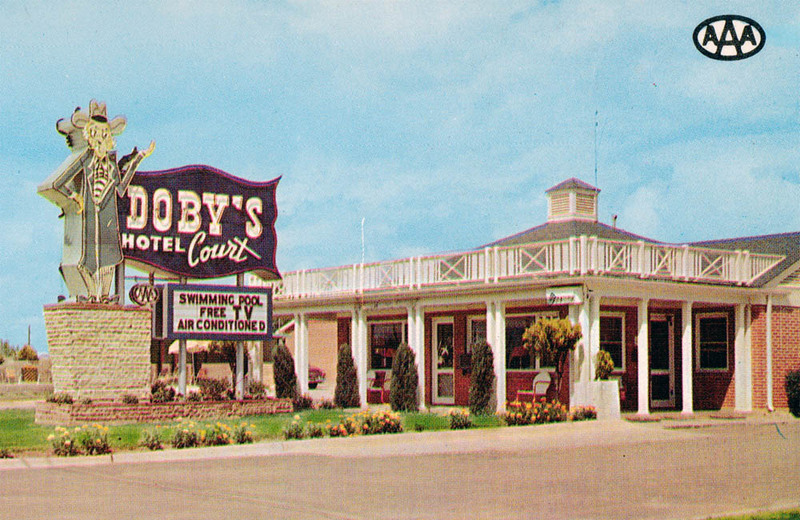 Doby’s offered Airfoam mattresses. Philco Tvs, Thermostatically Controlled Steam Heat, and an enormous buzzing sign with an old plantation owner doing his part to remind the colored folk to just keeeep driving. The address was 3453 Mobile Road.  Not only is the spot vacant today, it doesn't look like there ever was anything. Another page gives the address as 3453 Selma Road, which seems more likely, and fits another card's description of a "southwest" location. 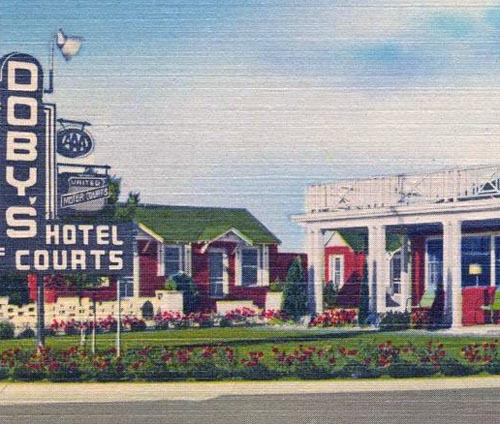 United Motor Courts, founded 1933 by a group of motel owners in the southwestern US to co-operate in upgrading properties, printed an annual guidebook until the early 1950's; that name is advertised on various 1940's motel postcards. A splinter of this group, created because of the relative difficulty in removing existing properties from the large and inclusive United Motor Courts network when they failed to upgrade and modernize, would establish Quality Courts United (1939).